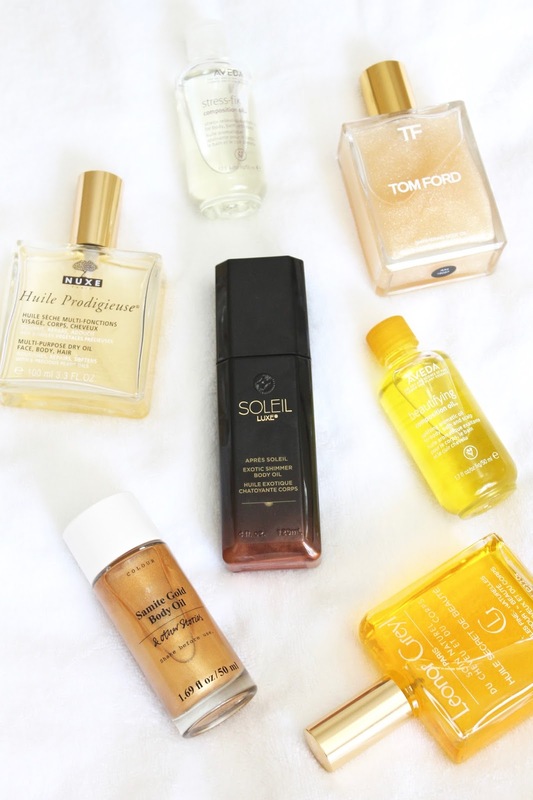 Oils are everywhere and I've gone from face oil obsessed to a body oil maven. I've always dabbled in oils of some sort, thanks to my long-standing relationship with the Nuxe Huile Prodigieuse (full review here) which smells like sunshine and a warm floral bouquet and can be used to induce moisture practically anywhere on your body - face, hair, and body. What I'm saying is: if you're not already bathing yourself in some sort of body oil - you need to now. 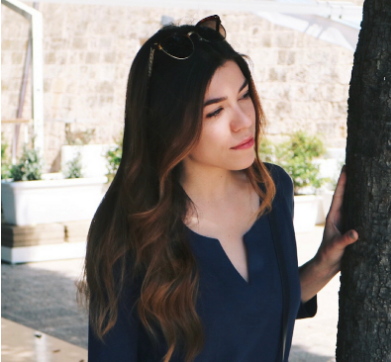 There is no other product out there that can claim to do-it-all (induce radiance, seduce with scent, moisturize on the spot, heal split ends) and truly mean it. Heading into the warmer months, where the percentage of exposed skin rivals that of the hidden, now is the best time of all to try one. Here are some of my favorites, from shimmering after-sun oils to the classics; at least one of these should be on your beauty wishlist this month. Nuxe Huile Prodigieuse - The OG body oil; this is the guy that started it all for me. It has a cult-classic scent that smells just as you'd expect a carefree Parisian girl would and nourishes every corner of the body from the split ends to cracked cuticles. I won't ramble on too much about this one, because, I already have here. 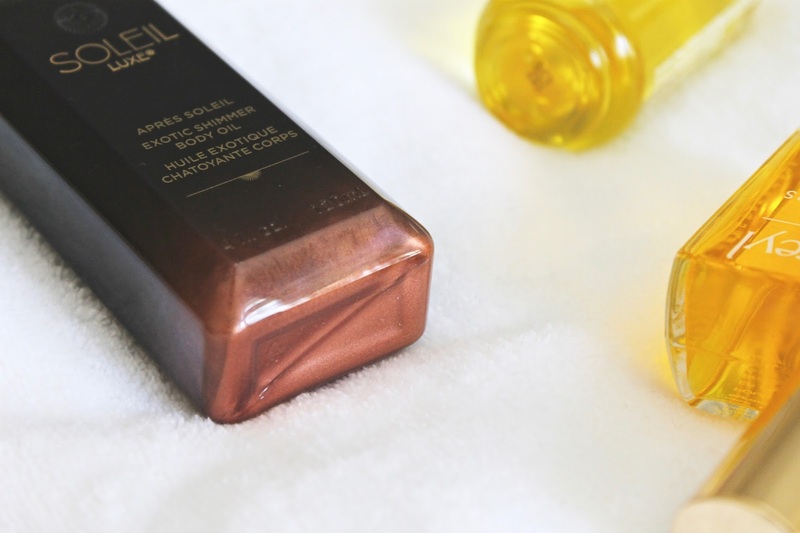 Soleil Toujours Luxe Après Soleil Exotic Shimmer Body Oil - This is the one that gets the glow. It's the perfect antidote to sun-parched skin and ensures a longer lasting tan while enhancing the one you've got. The dry-oil is absorbed instantly, and when it's used on wet skin it provides a true radiance with undetectable shimmer and uses all natural ingredients to do so. I'm obsessed with the fresh, summery scent it gives as well. Aveda Composition Oil - Remedy whatever ails you with these prescriptive essential oil mixtures. Stress-Fix offers soothing hints of lavender calming enough to lull you to sleep, while Beautifying uplifts thanks to rosemary and bergamot. What's great about these is they can be used on the body, in the bath, and on the scalp to seal in moisture. & Other Stories Samite Gold Body Oil - This macadamia-based golden oil is infused with wild fig for a warm, green scent. It gives a sun-kissed sheen to skin and when worn, breathes new life and radiance to dull, winter-ravaged ligaments. Leonor Greyl Huile Secret de Beauté - This organic oil is for use on hair and body - and with it I do just that. It smells of tiare and lemongrass and helps to restore softness to the skin, giving it an enviable healthy glow that you'll need come summertime. This is the perfect warm-weather getaway companion to keep your strands and body looking and feeling silky. Tom Ford Shimmering Body Oil - This is last summer's version, however, the new summer collection brings with it a version done in their seasonal scent, Soleil Blanc. The oil imparts shimmering particles that give a notable glint of sheeny glitz to the skin, and the scent is intoxicating and lasts all day. This is one I reserve for special occasions, as well as for body only.